I share the same conundrum as Nami from Just one cookbook. Being Japanese, I too often get asked “Do you make sushi at home?” Well, to make great 'Nigiri' sushi, it takes a sushi chef years of mastering. 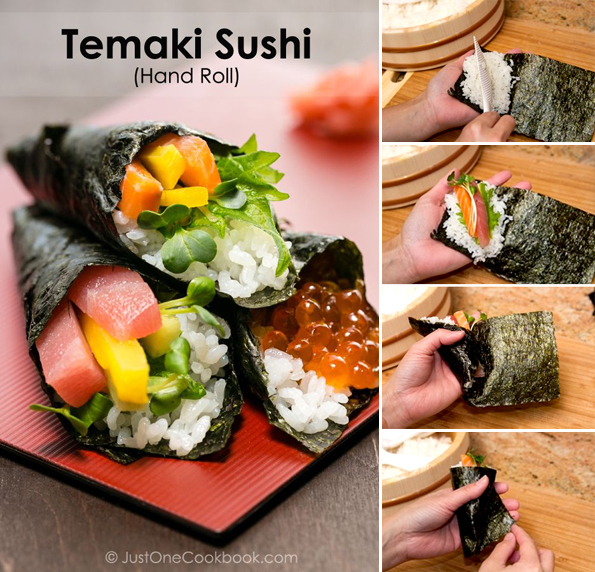 However, we do make an easy form of sushi at home called 'Temaki Sushi' (Hand rolled/wrapped sushi). You just need to serve the sushi rice, nori (seaweed sheet) and fillings in the middle of the table. Each person then hand rolls/wraps their own sushi with their preferred topping. This is why you could call it 'DIY sushi'! View her full recipe and tutorial as well as other fabulous Japanese recipes here. Now everyone can make sushi at home!